The Niagara Region Orchid Society is an association of people from all walks of life interested in growing orchids. Monthly meetings are held on the second Wednesday of every month at 7:30 pm from September to June at the Holy Rosary Church Hall (rear entrance), 35 Queen St S, Thorold, Ontario. 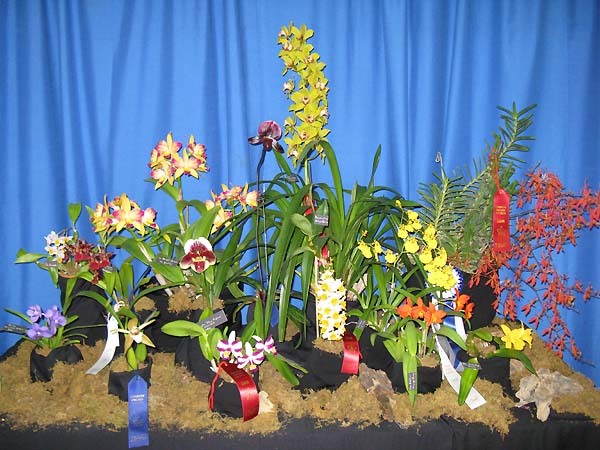 There are interesting programs on culture, blooming, displaying and breeding of orchids by members and outside speakers for the enjoyment of all. There is a show table at each meeting which is evaluated and judged. A "Grower of the Year Award" is given each year. A library with books ranging from general knowledge to specific subjects is available for members' use. Plant auctions and raffles are held regularly which helps members expand their collections. We welcome anyone who has an interest in orchids and wants to learn more. Membership is $20.00 per year.